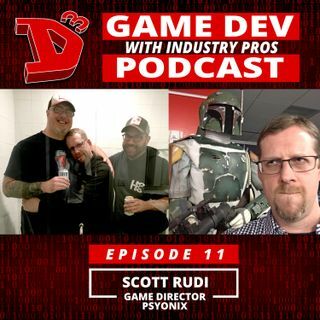 Scott Rudi joins us during our special E3 series at the D3 Podcast bar in Los Angeles! Scott is currently the Game Director of some game called Rocket League? I've never heard of it but he swears it'll be huge someday. Listen in as he tells how he started out as the son of a World Series-winning pro baseball all-star and found his way into game production. He's been doing this for a very long time and has a ton of amazing credits to his name. Plus he's a hell of a cool guy. ... See More Get out an IPA for this one as Scott doesn't drink that cheap stuff - this journey is worth it!